Congratulations on finishing the BBA! Not sure how I missed commenting on your post earlier. It’s been a great ride! 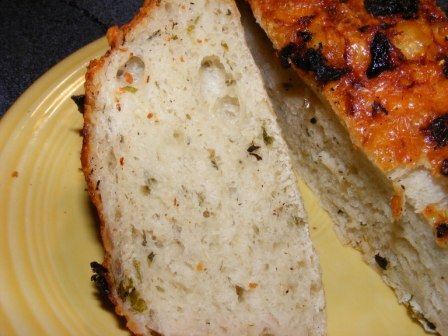 I just baked the last bread tonight. Good luck with your Modern Baking group! I’ll be looking for your posts. Thanks, Cathy. It has been fun. Congratulations on finishing! 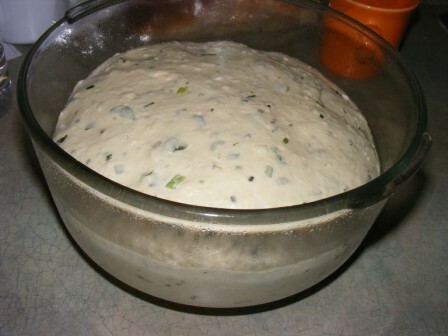 I have baked a few of the Modern Baker recipes already, and I’ve been happy with them so far. better late than never to join all others to cheer your victory! 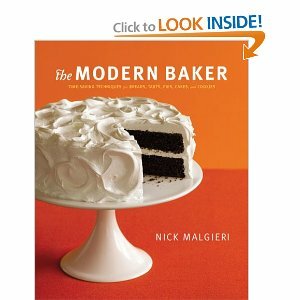 A lot of libraries carry “The Modern Baker”, so you could give it a test run if you want. We are going to be baking each section for 3 month, and during that time, you can bake whatever recipes in the section that tickle your fancy. Congrats Phyl! A job well done. I’ve enjoyed reading your posts. 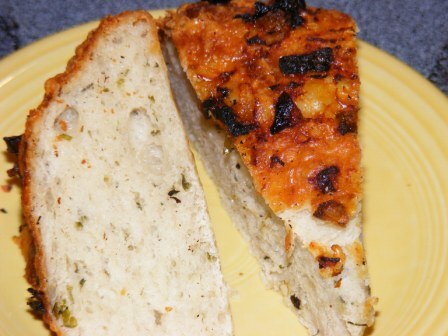 You really can’t go wrong with cheese in bread, and this one looks particularly delectable. Congrats on finishing the challenge with such an amazing bread! I MUST try this. Yours looks amazing! Thanks. It was really good. 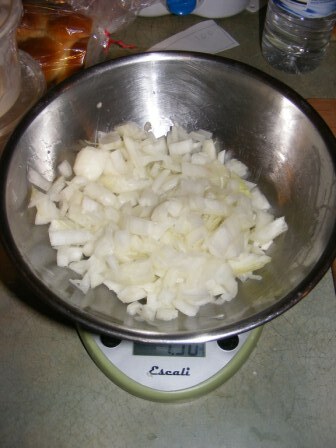 Watch the onions, though, as they burn easily. 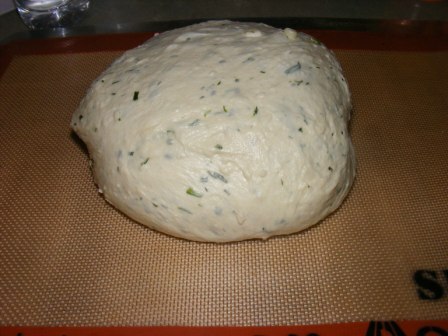 Underroast them a bit and be sure to cover the loaf with foil after about 15 minutes of baking. Congratulations, well done! This bread really sounds like good way to finish the challenge with. It will be interesting to find out if I can find Asiago cheese in Sweden, and what the price tag will read! 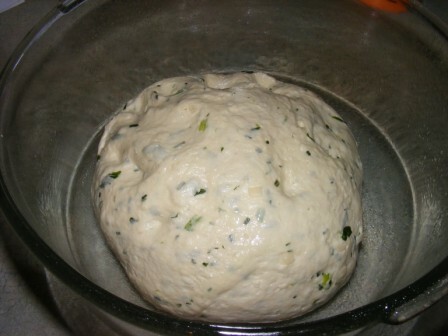 — I just googled on Asiago on Swedish sites, and actually found a recipe for savoury icecream with Asiago in it. Who would know. Congratulations on finishing the challenge! You have been a great source of support and knowledge to so many of us! I have to say when I saw Nick Malgieri’s name my heart skipped a beat. If something should ever happen to my husband, and George Clooney were unavailable, then Nick Malgieri would be my next choice! I have been thinking of baking my way through his Cookie book My #1 Passion), but I will check his new book out. I too struggle with pies. Maybe this will make your heart skip another beat: I talked to Nick on the phone last weekend. He is really excited about the Challenge! OMG!! If you talk to him again, send my love!! Oh, totally forgot: Congratulations on finishing the challenge!!!! Looks great! Thanks for the warning – I’m going to make only a 1/4 or 1/3 recipe. First, I’m not sure we really like the bread, second, I don’t want to spend that much money on cheese. I mean, this is for bread! Congrats on finishing. I’ve been thinking about what to do next too, thanks for giving me some ideas. I don’t have that Mod baker book, but looks interesting…. That looks delicious, Phyl! 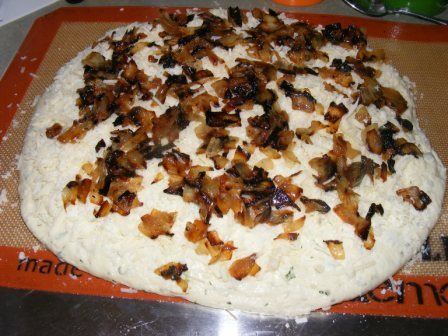 I can’t wait to make it but I’m so not looking forward to spending all that cash on cheese! Congratulations Phyl! The bread looks fantastic. I’m looking forward to this new challenge, too. I have made quite a few cakes in my time, but I tend to shy away from pies, as I have never been very good at making crust. I’m hoping to overcome that during this challenge! I loved this one too – mine got pretty darned dark as well! Congratulations on finishing the BBA!!!!! 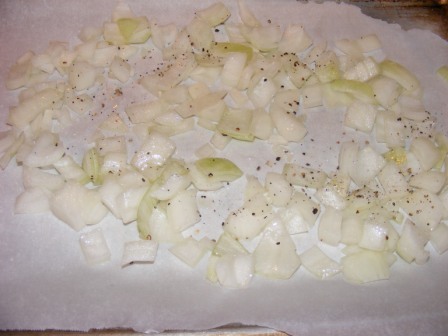 A friend of mine from TFL (thefreshloaf.com) said he found that if you underroast the onions a bit and let them finish roasting during baking, it works out pretty well. He put foil ove the loaf after the first 15 minutes or so, too. Way to go Phyl, and I agree, this was a great bread to finish the BBA on. It’s been a fun ride baking along with you. Let me know when you get your ModBak effort underway, I’ll be happy to promote it on my blog as well. Sounds like you’ll be delving into really tasty new territory! I’m sure the kids will be tickled pink over this new venture! I enjoyed this bread. I’m still working on my post but the bread is gone. I brought one loaf into work and a coworker said that it was better than chocolate cake.